If you’re looking for a digital brand experts that will build brand awareness on the Web, our search engine optimization and PPC advertising programs offer better value than you’ll find with anyone else. 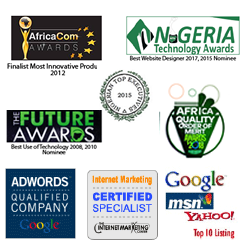 We have one of Nigeria’s best search engine optimization experts on staff. Bring us your brand, and we’ll create a brand presence on the Internet you’ve only dreamed of.